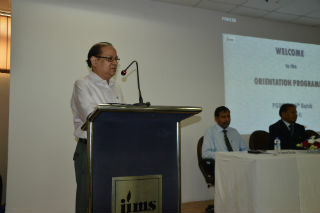 XXIV batch of PGDM programme at JIMS, Rohini commenced with the Orientation programme on Monday 4th July, 2016. 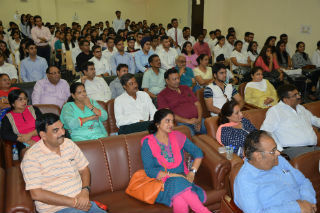 Parents and Guardians attended in large numbers to attend the programme and to encourage the wards on their first day at JIMS. 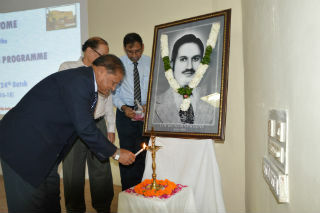 Session began with the lamps lighting and floral tribute to the Late Shri Jagannath Gupta, followed by the Saraswati Vandana. 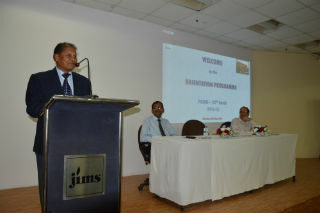 In his introductory address, Dean-PGDM programme, Dr.Sumesh Raizada, briefly told about the pedagogy followed and the various activities in which student are involved at JIMS. 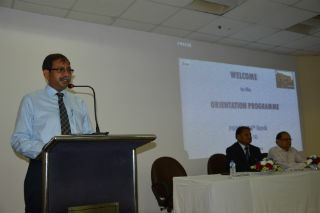 He asked the students to remain sincere, disciplined and committed, in order to enhance their competencies. 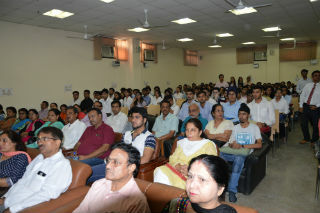 Dr.J.K.Goyal, in his welcome address, kept the audience enthralled with the mix of humour and instances from various religious texts, in order to put forward his views. Students were told to be ethical and focussed. They were cautioned on the corporate working style and were told to be careful while making friends. 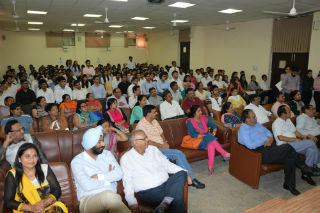 He requested the freshers to have full faith in their teachers as well as college and finally wished them for their successful career. 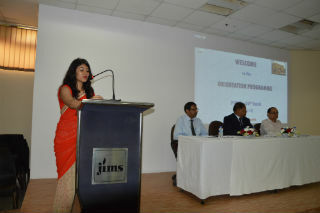 In the end, vote of thanks were given by Ms.Yukti Ahuja, Asst. Professor. Programme concluded with the refreshment for the students and guests, after which regular classes commenced as per the schedule.